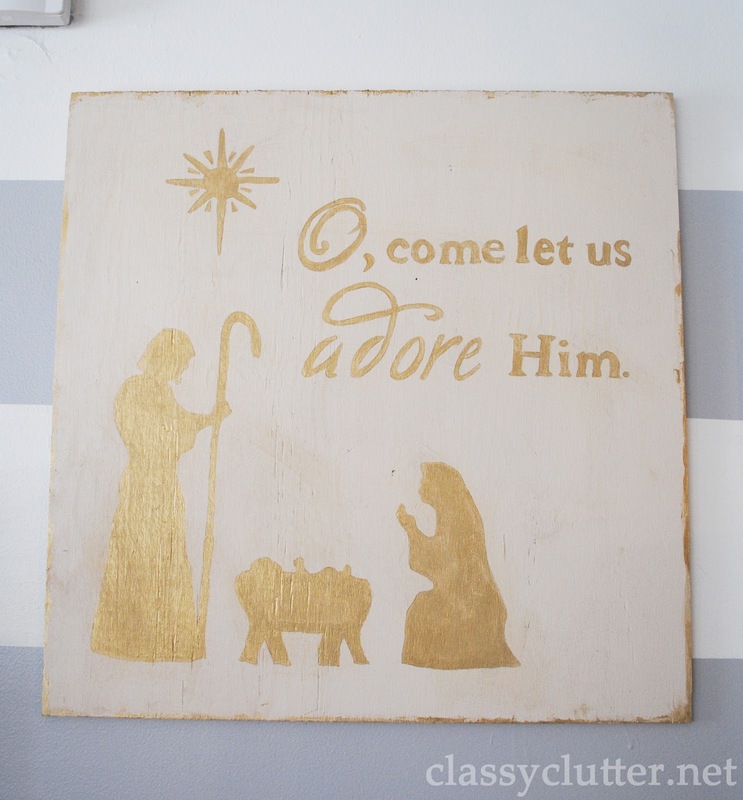 I’m excited to share our Christmas decor with you this year! I had so much fun making virtually everything that I have used this year and it’s helped get me in the Christmas spirit for sure. Let’s start with the tree! 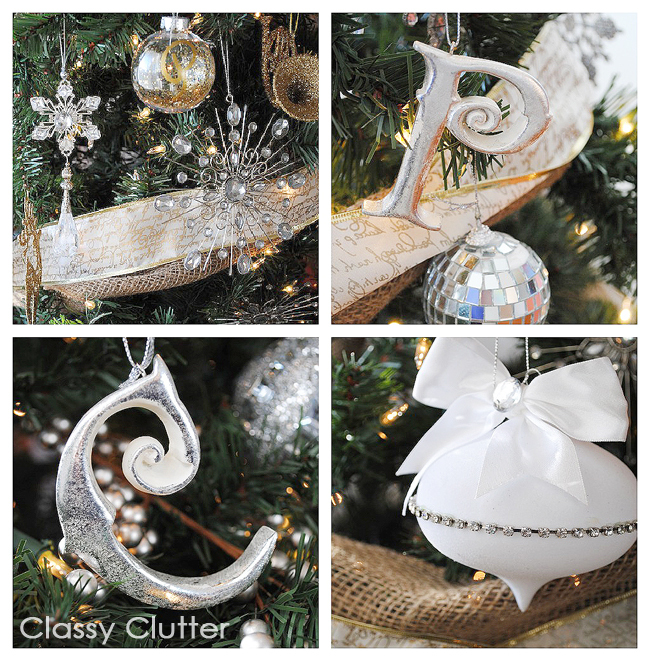 These are a few of my favorite (purchased) ornaments. Most I had on hand from previous years but I added a few this year, like the silvery monograms. 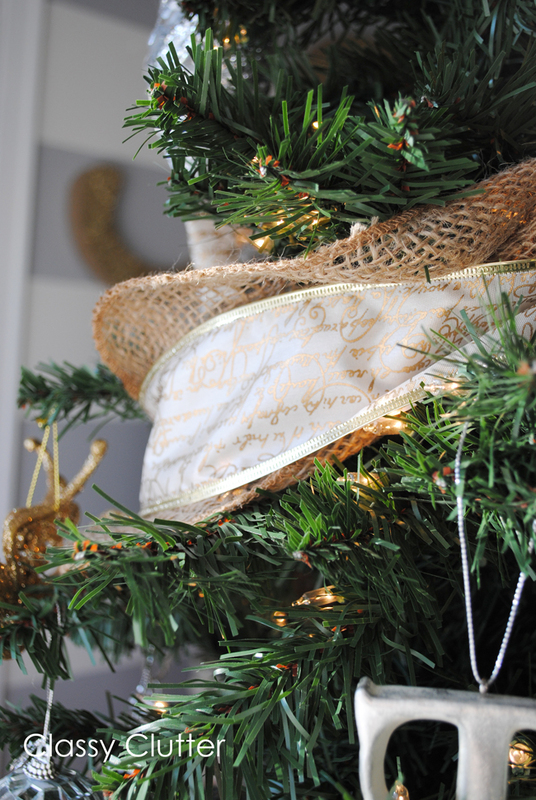 I added some gold and cream script ribbon intertwined with some burlap garland to wrap around the tree. 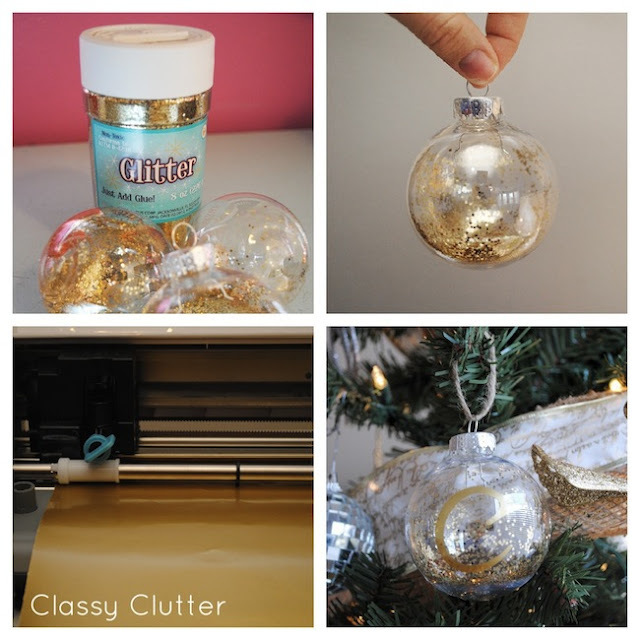 I made these monogram ornaments by simply filling a clear plastic bulb with glitter and adding the gold monogram for each of my kids’ names. 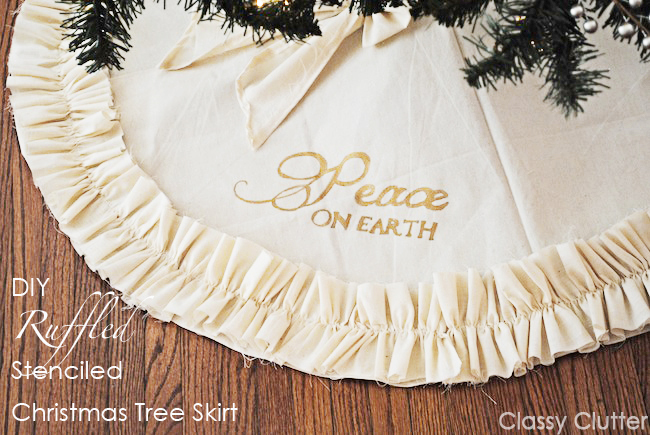 The tree skirt was also another favorite of mine this year. I have seen a bijillion tutorials for a ruffled tree skirt and decided I loved it but wanted to make it my “own”. 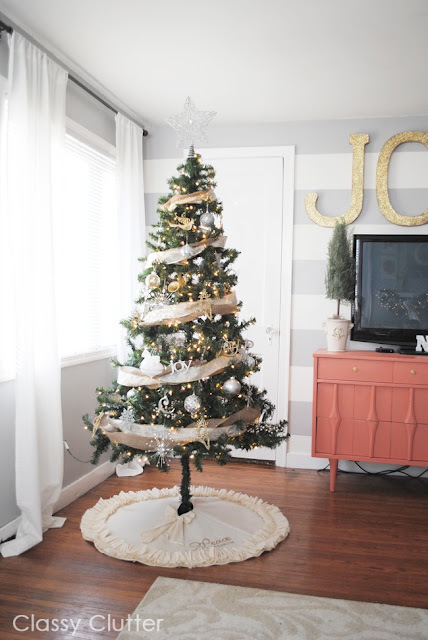 I used a canvas and cut it into a 42″ circle and cup an opening for the tree to fit in. I used velcro strips to close it up and added a cream linen ruffle and bow to it. Next comes the fun part. I printed off an image I made on the computer and laid it underneath the finished skirt. I used a pencil to trace it (the best I could – the canvas was not very see thru!) 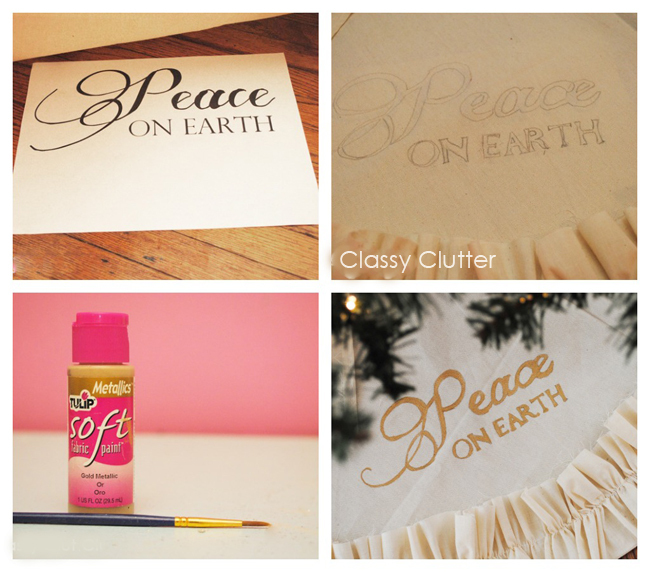 Then I used gold metallic fabric paint and added the “Peace on Earth” image. I absolutely love it! I almost don’t want to cover it with presents! PSH! Ya right! Here’s the full tree during the day! …and at night. 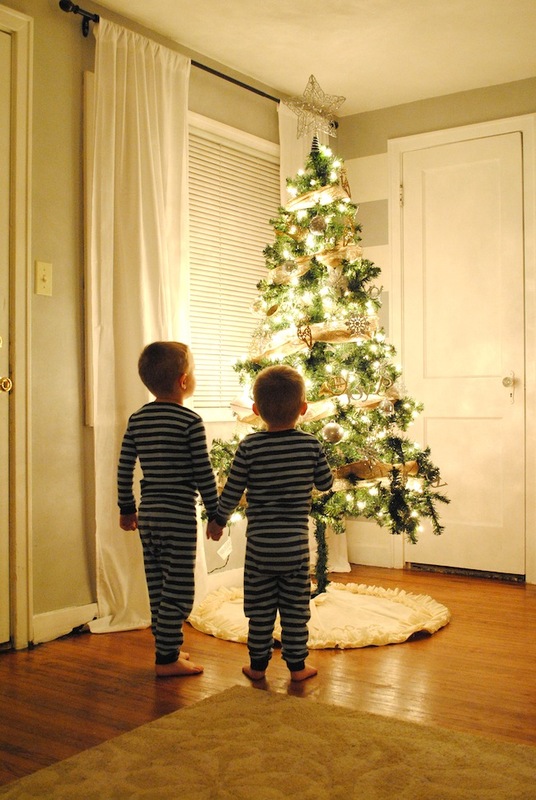 I couldn’t help but snap a photo of these sweet boys in their matching jammies by the tree. Can’t believe there will be a third little one next year! 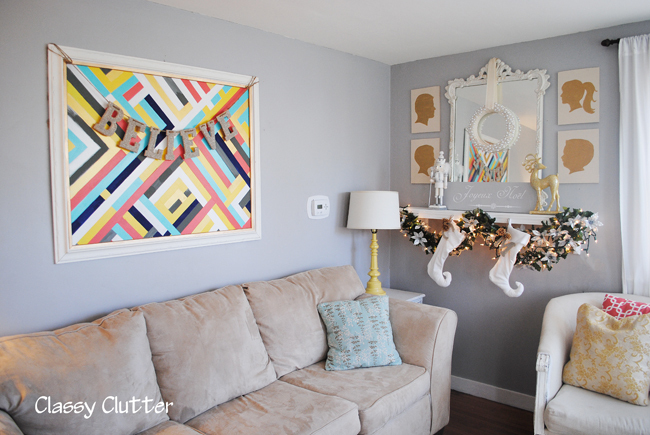 If you missed it, here’s my shelf/mantel thing. You can see the full post with tutorials here. This is another one of my favorites this year. I love the pearls! You can learn how to make it here. Here are a few more pics just for fun! JOY letters tutorial can also be found here. That’s it! I am so ready for Christmas! Are you? Gorgeous!! 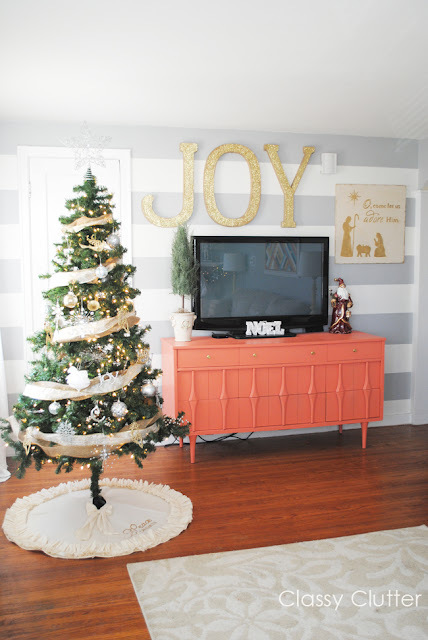 I love the huge JOY on the wall! Everything is beautiful. My boys have those pi’s too- so cute! congrats on the little one on the way! Love it all…that picture of the boys is too precious for words! i love the size of your tree! its perfect! 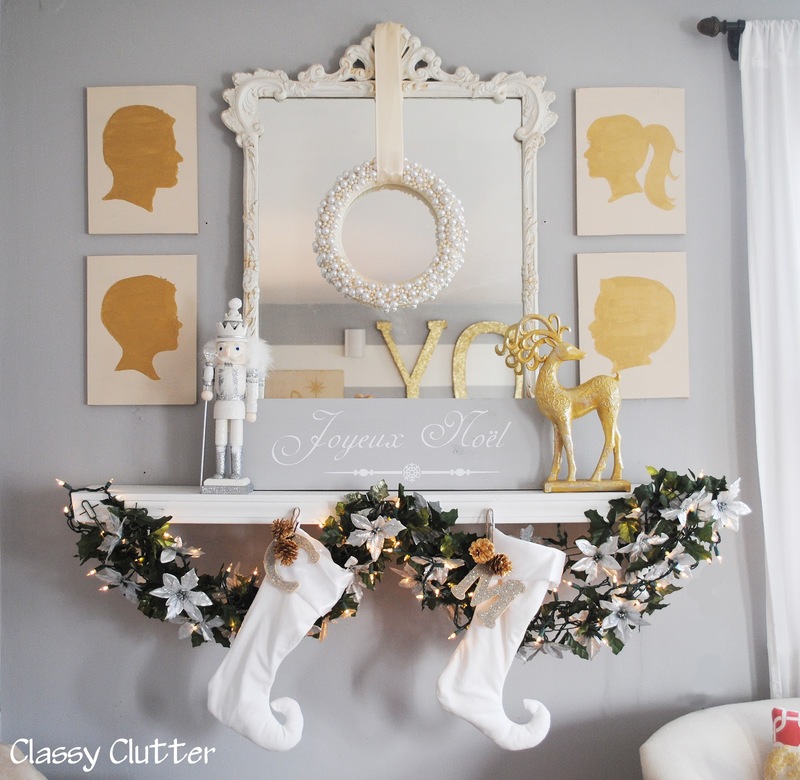 all the little details in decor, so dang cute! Love that wreath, can’t wait to make one! 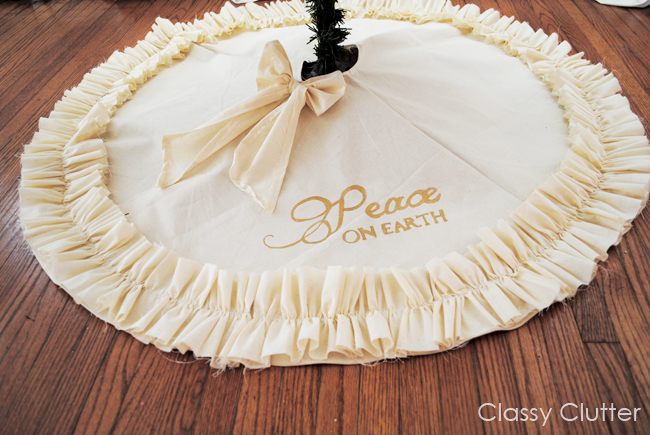 The pearl wreath is still my favorite, but all of it is lovely. 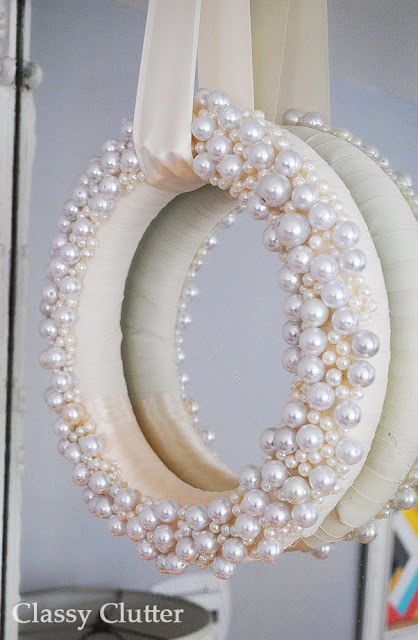 Glam and Glitz….my kinda girls!Love your pearl wreath….found you through DIY and am following you,now! Its so beautiful and bright! What size is your tree? Did you buy it prelit?